[ MIles Malleson, film actor and dramatist. ] Autograph Letter Signed ('Miles Malleson') to Kenneth Sephton, regarding his work as a playwright. 135 Harley Street, W1 [ London ]. 3 May 1960. 2pp., 12mo. In good condition, on lightly-aged paper. He thanks him for his 'most generous & warming letter' about his 1927 comedy 'The Fanatics'. He has not answered sooner as he was 'suddenly caught up in some very hectic & engrossing rehearsals for "Rhinoceros" at the Court Theatre'. [ Jack Denton, film director. ] 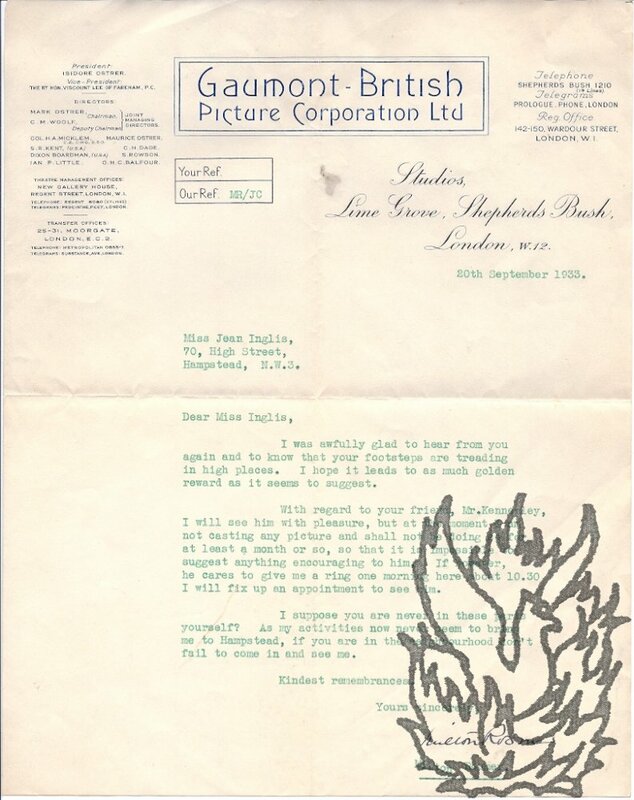 Four Autograph Letters Signed to film maker Percy Nash, with copy of the script of his play 'The Fairyland Express' ('A Xmas Fairy Play By Jack Denton'). 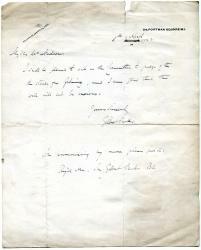 The first two of Denton's letters from 12 Montague Road, Richmond, Surrey, and the last two from the Opera House, Coventry. All four from 1933. 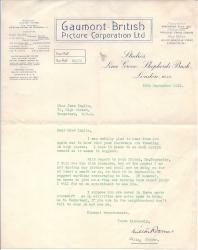 The playscript from 25 Monmouth Road, Watford, and undated. ONE: Typed playscript. 64pp., 8vo. Typed in purple ink, on rectos only. In pink card 'Ludgate File', with white typed label on front cover: 'THE FAIRYLAND EXPRESS'. In fair condition, aged and worn, with the leaves bound in with a rusted metal bar. Initial blank leaf with ownership inscription: 'Jack Denton | 12 Montague Road | Richmond | Surrey', as well as 'Mr Percy Nash | see phone'. The first page gives Denton's typed address as '25 Monmouth Road | Watford', and lists the cast, headed by 'Prudence . . . a little girl from Kensington', and 'Eric' and 'Marjorie', who are 'Her cousins . .
[ Bryan Forbes, film director. ] 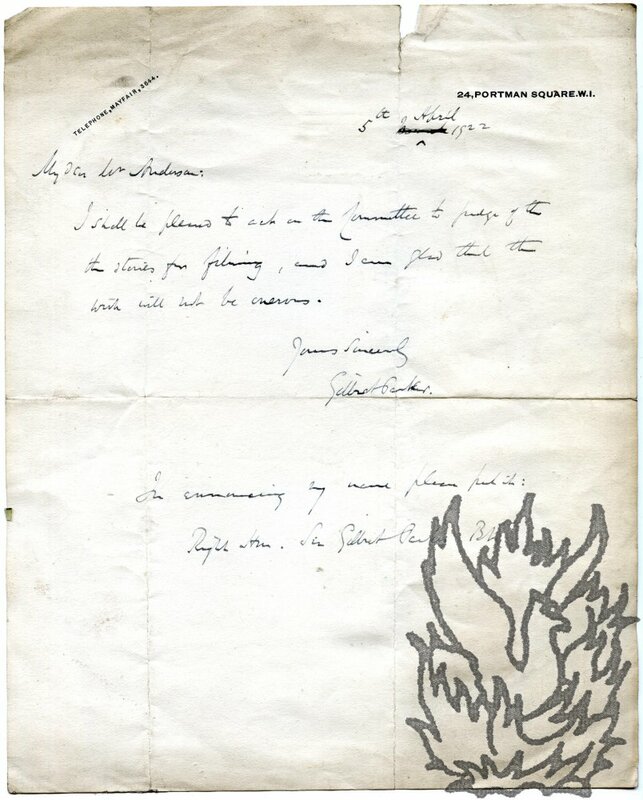 Autograph Card Signed to Ken Sephton, regarding a letter and its 'nostalgic reference'. [ Alan Bennett, English playwright. ] Unpublished typescript of screenplay of unmade comedy film titled 'The Vicar's Wife'. + 115 + pp., 8vo. Printed on rectos only. Bound by two metal studs in yellow card covers. In fair condition, with moderate signs of age and wear. Apparent ownership inscription ('Vickers Staniforth') at head of title page, beside a number '3' in red ink. Never produced and unpublished. 'The Vicar's Wife' was Bennett's first film script, and was written for Ned Sherrin, who was working at the time for Columbia Pictures. According to Kara McKechnie ('Alan Bennett', MUP, 2007), it 'pre-dates his first stage play by a few years, and is simultaneous with 'On the Margin' for television'. A complete run of the 14 numbers of 'Cinema Studies The Journal of the Society for Film History Research'. The Society for Film History Research, London. Between March 1960 and September 1967 (all published). + 344 + pp., 12mo, and four pages of plates (vol.2, no.2). Fourteen issues, loose, with volume 1 (issues 1-9) continuously paginated to 244; and volume 2 (issues 1-5) paginated to 90; with the volume's separate prelims (8pp.) and index (7pp.) ready for binding up. Two identical fliers for the society (giving its 'Purpose') loosely inserted. The collection is in good condition, on lightly aged and worn paper, but with rusted staples to all volumes. Hunnings and Gillett are named as editors of the first four volumes, thereafter Hunnings alone. 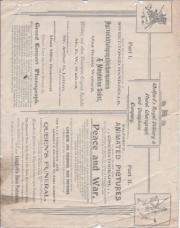 Printed Victorian handbill for 'Walford's Royal Military & Naval Warograph and Vocophone Company', including 'Walford's animated pictures by means of the most perfect Cinematograph', with Autograph Letter Signed from E. W. Walford to Wivenhoe School. Handbill advertising show on 10 February . Letter dated 10 April [no year]; on Walford's letterhead, The Bungalow, Bletchingley, Surrey. Surprisingly little is known about this British cinematographic pioneer, and these items are rare survivals, there being no reference to Walford on COPAC. 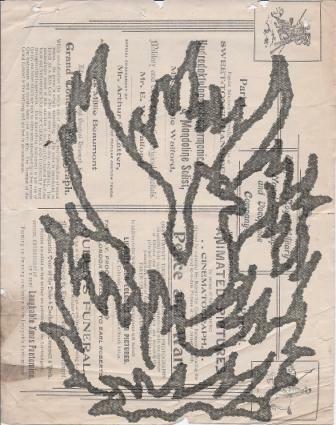 Handbill: 8vo (27 x 21 cm). Printed on both sides. Clear and complete. Aged and creased, with damage at edges. In portrait 8vo on one side, with picture of British Army lancer and border of Union Flags. Headed 'Great Additions with Augmented Change of Artistes since last visit. | The Schoolroom, Watton. | Monday, February 10th.' 'Walford's Royal Military and Naval Warograph & Vocophone Co.